The EUobserver.com is an independent website published by EUobserver.com ASBL, a non-profit association registered under Belgian law. It represents the largest online news site covering European countries and matters, providing the latest news and press reviews on a vast array of topics. The site content is also divided in different thematic areas, such as Political Affairs, Justice & Home Affairs, Defense, Human Rights. 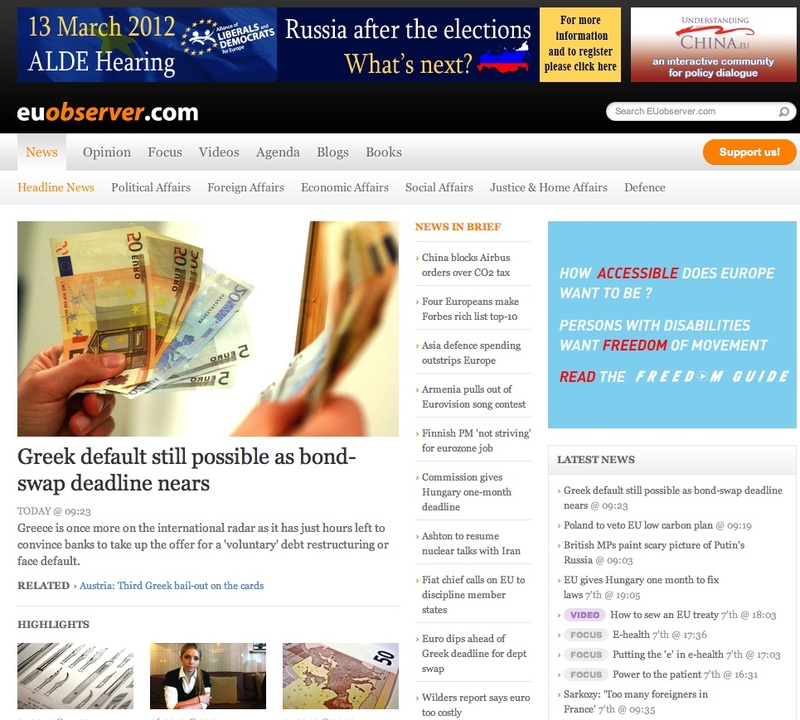 Freely available for personal and non-commercial use, EUobserver.com features a pay license for full access to professional users – while some articles are “Premium content” requiring the purchase of Pay Per View Credits. Over 750,000 readers visit this site each month, primarily accessing data in such fields as Businesses/Consultancies, Academic Institutions, and national or EU administrations. EUobserver.com features several layers of information, with news categories and sections always easy to locate and to browse. The news content is also well structured, rich-in-text and well presented, including a series of easily-accessible menus and sub-menus.